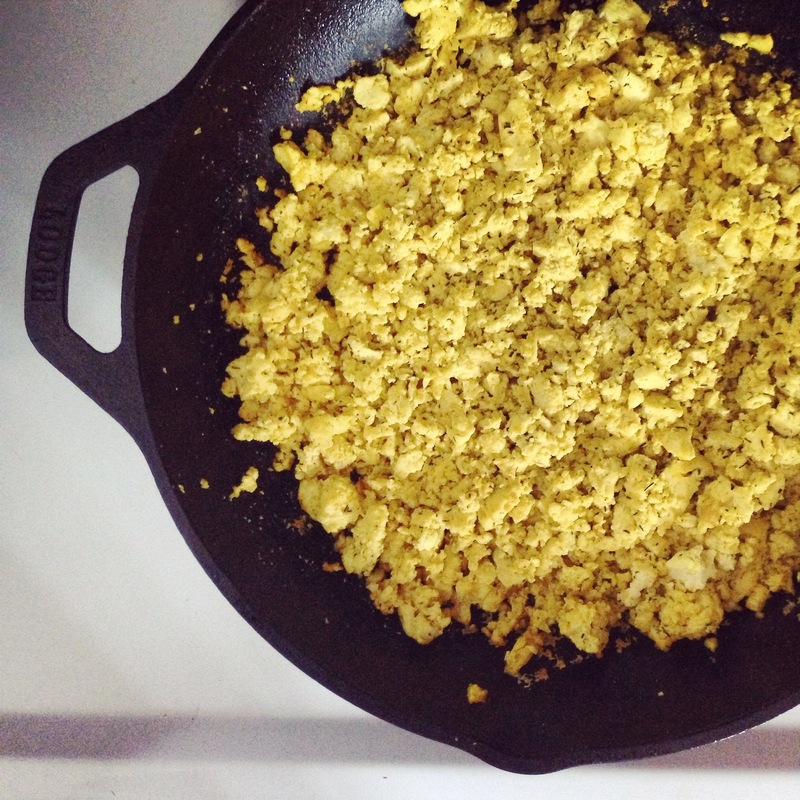 This is a basic tofu scramble recipe that will knock your socks off. 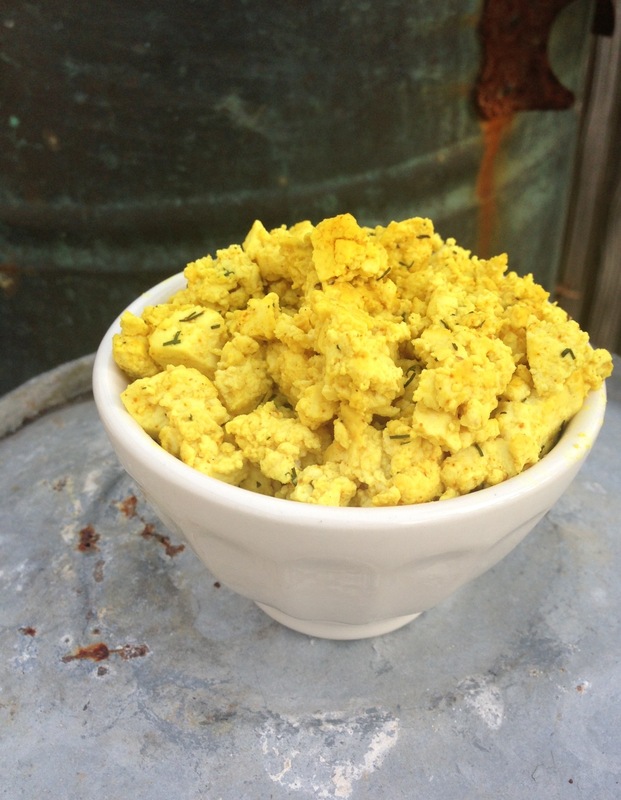 It looks similar to scrambled eggs, and tastes super yummy too! To add bulk to this recipe, you can add vegetables of your choice. Otherwise, you can serve this as is on toast or in a breakfast burrito, or as a side dish with oatmeal and fruit (or just by itself; it’s that good). This recipe is also omnivore-approved! 1. Drain the tofu and firmly press it between two cloths or paper towels until the excess water is as eliminated as possible. 2. In a medium skillet, use natural propellant-free coconut oil spray or 1 tsp of organic coconut oil and turn the heat up to medium. Note: before purchasing a spray, the only ingredients should be coconut oil and an emulsifier like sunflower. Try to avoid ingredients such as propellants, natural flavors, and soy oil. 3. Add in your tofu with your hands, crumbling it into small pieces as you add it to the pan. 4. Add in all of your spices and seasonings and mix thoroughly. Note: you will want to taste the mixture before you serve it, as you might need to add more salt. For those not concerned about oil intake, you can add coconut oil to the dish to make it extra rich and flavorful. 5. The tofu will be finished once it is steaming hot. The entire dish takes approximately five minutes to cook through. There should not be an excess of liquids in your pan, if you pressed out the water in step #1 properly. 21 Day Fix Approved: measure out in the red container to count as 1 red + account for the coconut oil (if you measured out coconut oil for this dish). 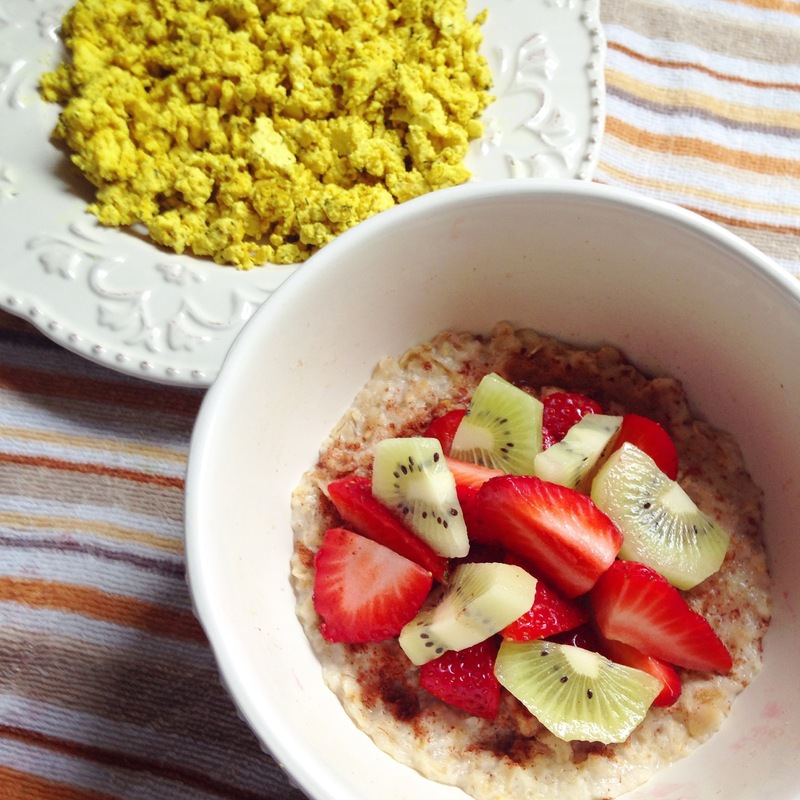 This tastes just as good as an oil-free breakfast.